Brick-oven pizzas, Pasta Pomodoro, Pistacchi Linguine… you name it, Gabriella’s Italian Grill will have it on its truly Italian menu; and if they don’t have it, they’ll make it! Whether you are a spaghetti-and-meatballs traditionalist or a connoisseur with a harder-to-please palette, Gabriella’s, located at 1226 NE 63rd Street, offers fare for you. With the crackling fireplace in the back room and separate home-style dining rooms, this family-owned and operated eatery provides a non-commercial, laid back atmosphere for those in search of a relaxing glass of wine after work or dinner with family and friends. The country-Italian ambience of Gabriella’s will captivate you from the moment you step foot in this former speakeasy setting. Chef Vicki rarely deviates from the recipes that have been in her family for numerous generations. The most popular dish, the lasagna, is made with sausage prepared in-house and has many customers coming back for more. Chef Vicki’s personal favorite is the Coal Miner’s Pasta, which contains a medley of bacon, peas, fresh vegetables and an egg that the patron gets the pleasure of cracking over the top. Gabriella’s Italian Grill not only encompasses Italian authenticity in the menu but also in the close-knit family values. Although the restaurant opens its doors Monday through Saturday at 3 p.m., Chef Vicki along with her two sons, daughter, grandson and nephew, can be found inside beginning at 7 a.m. preparing the authentic brick-oven from Italy, rolling meatballs, cooking pasta and cutting vegetables. This daily routine ensures the guaranteed freshness of each cuisine. “Everything is made fresh every day. We’re not going to make up a bunch of food and give it to you at the end of the week. We just don’t do things that way. We start every morning, and we do everything daily,” said Chef Vicki. Not only will you want to indulge in the mouth-watering food, but Gabriella’s full-service bar, the Drunken Scholar, also offers 30 handpicked craft beers and an extensive wine list. With dominant Italian roots, it is no surprise that Chef Vicki and her family are originally from Krebs, Oklahoma, the central hub for Italian lineage in the state. After making a 17-year pit stop in South Padre Island, Texas, Chef Vicki decided it was time to come back to her home state closer to her family’s location and opened Gabriella’s in Oklahoma City in June 2012. Whether you are looking for a new home creation or for Grandma’s zeppole recipe from the Old Country, Gabriella’s staff goes out of its way to personalize orders and serve your needs. 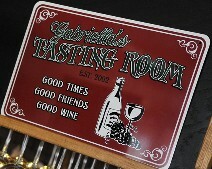 Reservations can be made at Gabriella’s Italian Grill by calling (405) 478-4955 or visiting the website at www.gabriellasokc.com.